I've been following along with the posts over at two more seconds this week. It's all about mug rugs! You know, those cute mini quilted placemats for your coffee/tea cup and a snack. I've been wanting to make one for a while now (prob since seeing Mary's) but just haven't gotten around to it. I had a bit of free time last night and got started. I whipped out some graph paper (just knew that stuff would come in handy!) and started sketching. I'm still in the beginning stage of this project but figured I'd share what I have so far. This is the perfect sewing project in my book: small enough not to require lots of supplies or time really but can still be challenging and make me think outside the box a bit. 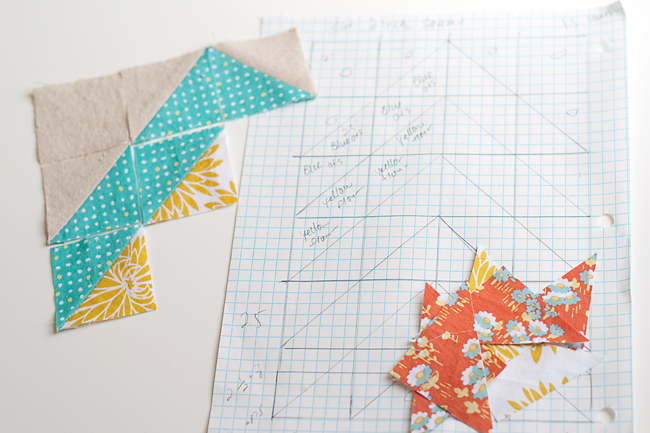 All this piecing is new to me and I'm sure there's an easier way to do what I want to do. . . 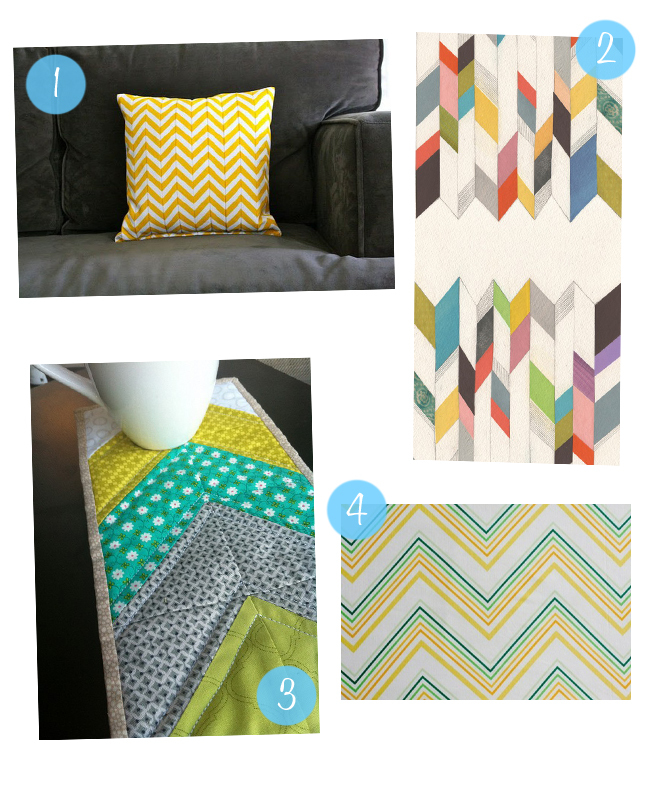 When coming up with a plan for my mug rug, the first thing that came to mind was "chevron". I've been pinning all things chevron onto my Pintrest boards lately and decided to use those photos as inspiration for my mug rug. I also spotted a chevron mug rug on Flickr and knew I had to try something similar. I'm still playing around with fabrics, colors, and placement and have my fingers crossed that I did my math right! I'm making my daughter a little outfit for the first time! I'm even making my own pattern, it came to me during a 3 am feeding, lol! I love what you have so far! Mug rugs are seriously addicting. Can't wait to see more! I like it! I have been interested in a mug rug lately too. They are so cute but knowing myself, it would be wasted on my tendency to put my mug down and not find it again until hours later! pretty chevron! looking forward to the finished product! Loving all of the chevron...I actually made a burp rag out of that vintage sheet you have pictured with a towel the color of the first color in the pattern. It was a big hit at the baby shower.